On Spotlight: Miles Morales, the New Spidey! The new Spidey, Miles Morales, is out now. Amidst the release of DC’s new 52, I think this issue will not go unnoticed. 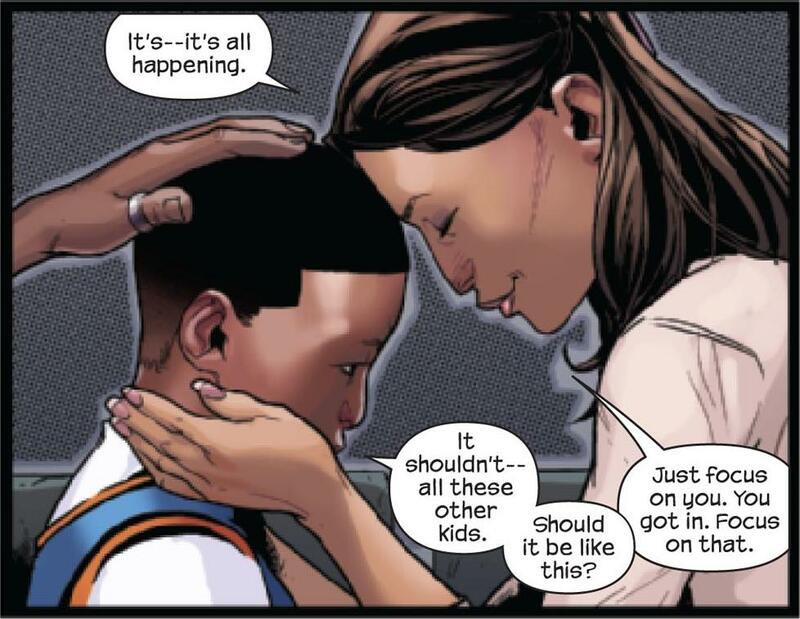 I know that the press release of the half-black, half-latino web slinger caused a havoc to Peter Parker fans but I think after reading Spider-Man #1, Miles Morales would do just fine. We do know that Miles Morales is poor. His parents are good people who wants the best for him so they take a chance in a lottery that could win him a slot to a good school. Sara Pichelli could really draw emotions and with that we could say he is a meek and humble kid. After winning a slot Miles said “It shouldn’t – – all these other kids. Should it be like this?”, we already knew that he’s got a good sense of what’s right and wrong. This issue did not start with web-slinging, crime-fighting, cars-exploding panels and I like it. Brian Michael Bendis takes time to introduce you to what environment Miles was in. It focuses on his family and on how it would affect him as to what he would become, I think :P. You could feel the warmth and love of a parent to their son on this issue. Bendis is making us know that the family would play an integral part to this series. Sara Pichelli should also be praised with how this first issue turned out. She accomplished to put real emotions to the characters on how exactly they should look like at every panel. Another one is on how unique every character was drawn. It shows that she really put time on the details. The color was also spot on. It helps to transcends what Pichelli has drawn. 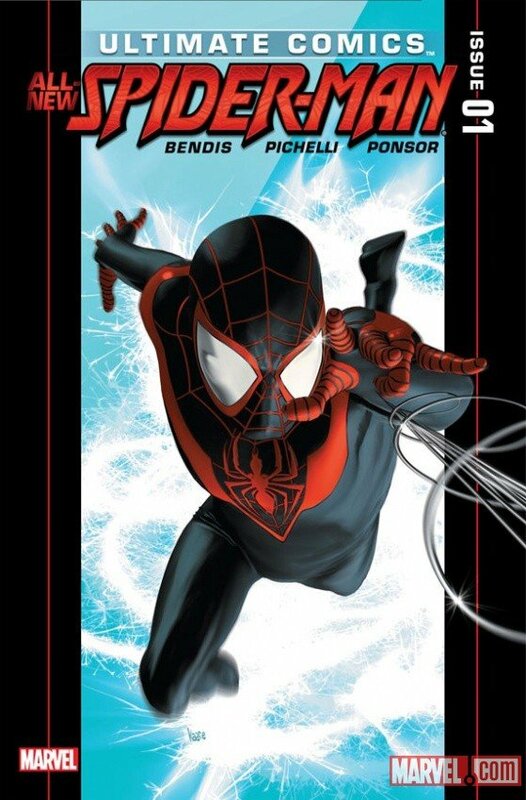 Author iampinoypeterpanPosted on September 22, 2011 Categories Comics, Marvel ComicsTags Brian Michael Bendis, komix korner, Miles Morales, Spider-Man #1Leave a comment on On Spotlight: Miles Morales, the New Spidey! Homicide Detective Christian Walker and his partner Deena Pilgrim plunges into the city to investigate the death of Retro Girl. With Detective Walker’s secret past and involvement with Retro Girl, would he be able to solve the case? The greatest comic book ever! With a dash of humor, interesting premise and an eye-candy illustration, a GN that you would surely follow. 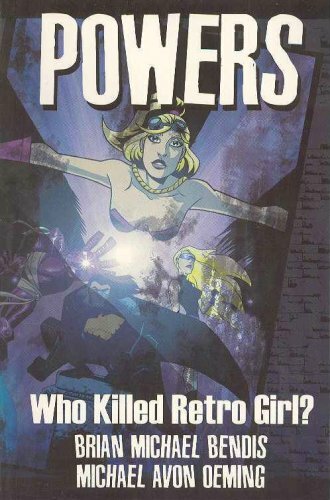 Bendis story telling, exceptional dialog and great characters would surely grab you into the world of POWERS. He created a believable society where superheroes does co-exists among us. I can’t help but to think of WATCHMEN while I’m reading POWERS. Similarities could be seen but it would not make you like POWERS less. WATCHMEN might have impress me, but Bendis could make me relate, a part of the story and not just a bystander watching in awe as someone passes by. He gives us a glimpse of what it is to be a superhero in a very plausible way. The way it was illustrated by Oeming was just right for the story. I like how every pages was dark, every panel background was black. Even the placing of speech balloons was pure genius. Now I understand why many fanboy would put Bendis to a pedestal. He might not be as great as Alan Moore but he makes comic books that would surely reach you, something you could relate to. Now all fanboy rise, let us give a round of applause to the MAN for a job well done!